1. The older I get the more comfort I find in the things I don’t understand about God. When I was younger I wanted all the blanks filled in. The pages full of explanations. But as my hair grays and my joints stiffen a little, I am content with mystery. Not knowing reminds me now that I am not God and my frustration at not understanding is a kind of reaching for the wrong fruit in a garden full of what is freely offered. This is a kind of sober worship, I think. 2. I’ve listened to just about every recording by Bill Mallonee. And I can tell you, none have disappointed. Everyone worth my time. That’s pretty incredible considering there are more than 70 albums. 3. The way normal people talk about football teams and players they don’t like – ridicule, anger, etc. is exactly what most of us tell our children is unacceptable when they are actually playing a game of any sort. We teach them gloating and ridicule is unacceptable behavior and then blow up social media every weekend with the same. 4. Not too crazy about the new Wilco. And the artwork is awful. Too much irony. But a bad Wilco album is still interesting. 5. I just finished Russ Ramsey’s book, Struck, which is coming in 2017. It is a truly wonderful book. The writing is superb. But what I can’t get over is how unique it is. And it just drips with the wonder of God’s grace, sufficient for whatever comes our way. 6. High and lonesome records with coffee as the sun rises. 7. I don’t know if the people I work with get me. My family sometimes – oftentimes look askance at me. But pizza? Pizza gets me. 8. 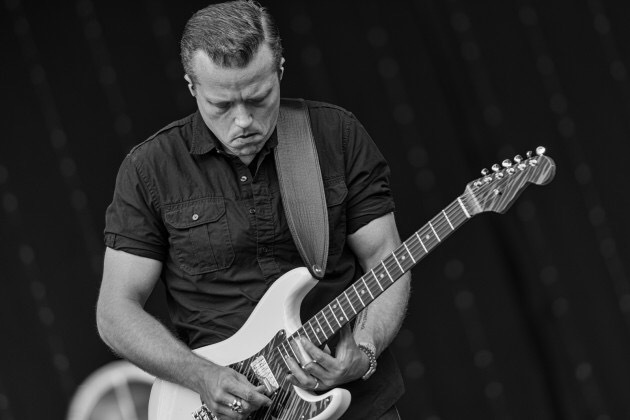 I was listening to Jason Isbell yesterday and noticed something I had not noticed before. I think one of the reasons he’s such a great songwriter is how efficient he is with words coupled with brilliant details of the human condition, we can all relate to. That’s rare. 9. There is nothing you can read in a news story that can change the reality of Jesus’ unending reign stretching into forever and evermore. 10. It’s taken me days to work on this post. What I once did quickly now takes me much more time. My hands hurt. The doc isn’t entirely sure what it is but it’s certainly caused by typing all day long. It’s disappointing. But what rings in my ear is my pastor’s recent sermon where he asked, “Are you willing to experience unfairness so you can be a blessing to the world?” The answer to that question changes as the pain increases and the weight of being a writer is considered against what is at stake in that question. Please pray for me. #1 – totally agree, and the freedom that brings…don’t have to have all the answers, love the mystery and love not being God. #10 – your pastor asked the right question. I will pray for you. Your talents of writing and insight are amazing, refreshing, thought-provoking, challenging, and full of grace. Thank you for doing what you do here.